If you are currently not a member of the Greater Claremont Chamber of Commerce and/or a personal guest of a member also attending this event there is a $10 charge to attend. If you choose to join the GCCC within 30 days of attending this event your $10 event ticket will be credited towards your membership dues for this year. March Lunch & Learn Educational Workshop! Overwhelmed by social media and marketing your organization? 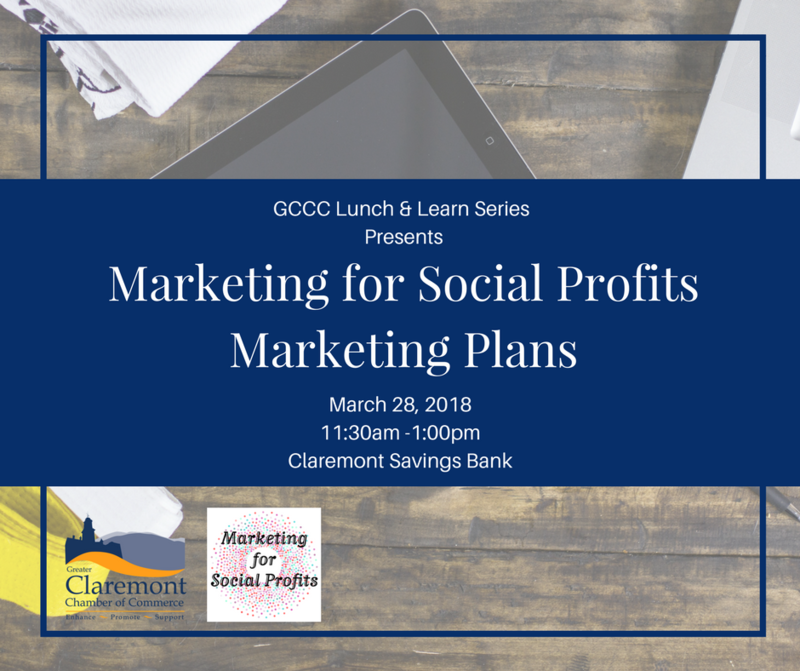 Cortney Nichols, from Marketing for Social Profits will be giving an overview of creating a nonprofit marketing plan. You will leave with an outline and a starting point for you and your nonprofit or small business to organize your marketing efforts. Even with limited time and money you can successfully build awareness for your organization and grow your group of supporters.